The great ab challenge is definitely for beginners or the ab challenged. I think after this 30 day ab challenge, if it doesn’t get more challenging, I’ll have to create a new ab challenge! Physical fitness day 9 diet: 5 glasses of water, egg sandwich for lunch, and Indian lamb curry. Desert was an ice cream sundae. Physical fitness day 9 exercise: I walked about 3 miles today, and did the ab challenge day 3 tasks as mentioned above. Didn’t have time for a lot of handy activities or exercise today. Last week we sold our couch with the intention of replacing it ASAP. Well today was ASAP! We drove about 2 hours north to pick up the couch that my wife found on craigslist. Our new couch is a leather sectional. It’s much larger, and smells slightly of dog, but it is nicer than our last couch by a wide margin. 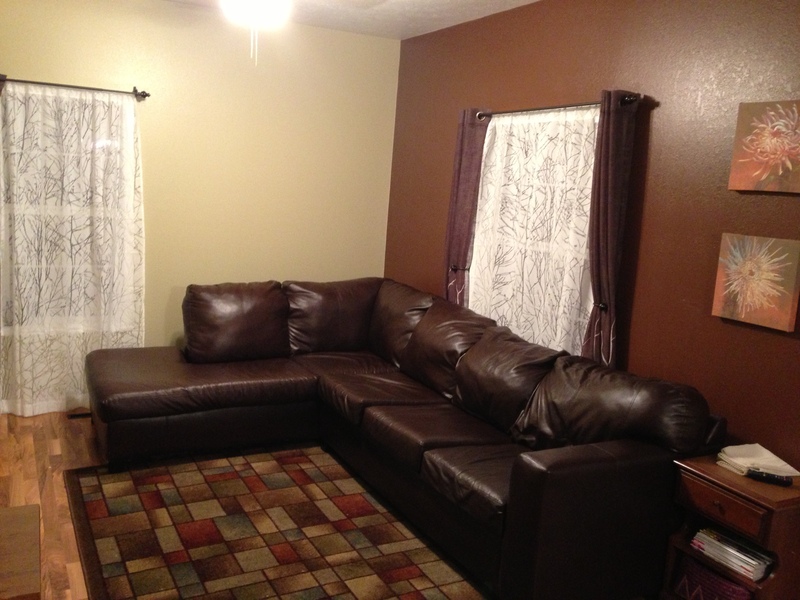 Does anyone have any advice on the care of leather furniture? So far, sitting on this couch, writing this post, I find the leather enjoyable and cool to the touch… a nice feature in the summer. I still have about 25 minutes left in the day, and I’m going to go for 40 push-ups tonight. One other thing I think is a good feature of this new couch is that I can use it to help with sit-ups when there aren’t any hands around to hold my feet.